Unusual search: Can cats sense someone is a sociopath? Pseudologia fantastica in real person: Yep, it’s real alright. Actually if one is not immediately caught up and swept away by the pseudologue’s “pity play” then they are more obvious than regular sociopaths — their stories are so extreme and fantastical. How to get a workplace sociopath to leave: Good luck. How to let go of a sociopath: This will happen when your soul (not your mind) realizes there is no soul in the other person. If this doesn’t happen, perhaps the other person is not a sociopath or perhaps you are actually fighting a realization that one of your parents is sociopathic ($50 please). Sociopath at parties: Due to few inhibitions and no shame they can be real lives of the party. Read “The Incredible Charlie Carewe” (http://www.amazon.com/incredible-Charlie-Carewe-Mary-Astor/dp/B00005W69S). Some are also very, very skillful at party crashing. 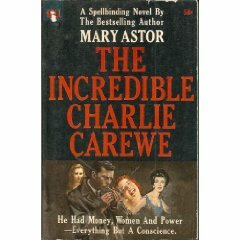 (https://kat.cr/the-incredible-charlie-carewe-mary-astor-mobi-t7972573.html, https://openlibrary.org/books/OL5798604M/The_incredible_Charlie_Carewe). 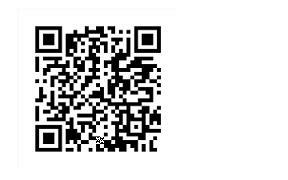 Sociopath and blackmailing: Goes together like ham and eggs. They love crimes without consequence. Pictures of Thomas Capano: Hmmm. This is a repeat search. He’s the only one of my blog’s possible sociopaths (more than possible in his case) whose picture people seem particularly interested in. I don’t know why. I was with a sociopath for 8 years…why? For one thing, since no one is ever informed of this possibility as they are growing up or upon reaching romantic age, it often takes years for someone to realize their situation. Also, as the sociopath often cons relatives of the non-sociopath, individuals in your position are really on their own. Addressing this is one of the main missions of my blog. You have a lot of company. Ann Landers was married for thirty years to the sociopath, in my opinion of course, Jules Lederer (who she described as the best salesman in the world). They met while she was shopping for a wedding dress for her upcoming marriage to another person. Just the kind of challenge that might appeal to a “super” sociopath. Also, as I recall, her sister, Dear Abby, criticized her after the divorce for not understanding her husband. Can God change a sociopath? The short answer is no. That would be akin to changing a stone into a block of wood, or lead to gold. If the question is actually can sociopaths be lead to see the error of their ways and cease being sociopaths, unfortunately the answer is absolutely not. Sociopaths have their own nature, they are the way they are born to be. “Socially acceptable psychopaths” (SAPs) who, by definition are capable as passing in normal society, can choose whether or not to follow society’s norms and laws but they can’t feel them. Justice and empathy are just empty words, even to them. This searcher might be interested in the post, “More structural brain abnormalities seen in psychopaths“. I think its clear that most sociopaths are born with these brain structures. Related posts on psychopathy/sociopathy brain structures: https://pathwhisperer.info/2014/12/09/psychopathy-marker-neurodevelopmental-marker-for-limbic-maldevelopment-in-antisocial-personality-disorder-and-psychopathy/, https://pathwhisperer.info/2011/11/29/criminal-minds-will-testing-the-brain-even-before-birth-separate-the-good-seeds-from-the-bad/, https://pathwhisperer.info/2015/02/01/psychopaths-brains-dont-grasp-punishment-scans-reveal/, https://pathwhisperer.info/2014/02/03/post-redux-what-the-heck-are-these-brain-structures-meaningful-or-not/, https://pathwhisperer.info/2015/09/18/test-all-presidential-candidates/. Drifter & sociopath: The drifters and rolling stones of life are in fact often sociopaths, driven by boredom and lack of emotional bonds. Boredom is simply one of their prime driving forces. Thus the backwaters, catch basins and outposts of empires or large nations have a much higher sociopathic percentage — for example, California, Australia and New Zealand. Will my baby be born a sociopath? : Here’s a heart breaker. From the little I know, it seems the genetics of sociopathy is very complex. I’ll try to look into this further. If this searcher was attracted to a sociopath because one of her parents was sociopathic the odds aren’t good.